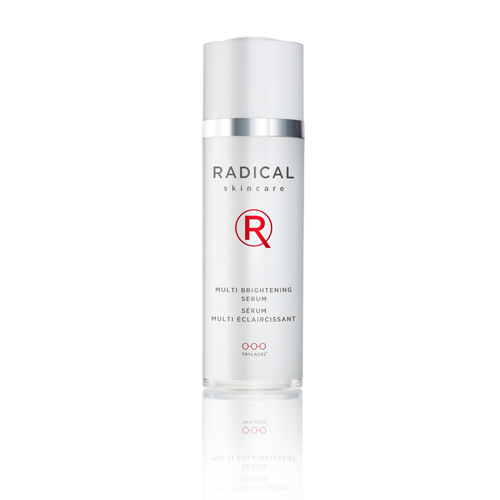 Multi Brightening Serum - Radical Skincare - Lighten Spots and Scars! A brightening serum with ingredients shown to combat all 3 causes of dark spots and pigmentation disorders without stripping your own natural color. Those causes are sun, age and scarring from break outs. This is done with two natural plant extracts in less time then traditional bleaching agents. 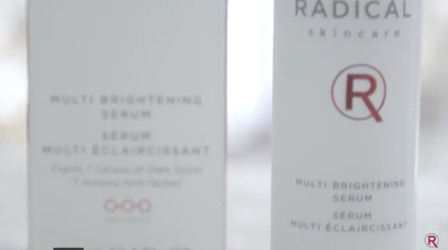 Age spots, sun spots and wound spots are lighter while your skin appears more even toned, radiant and tighter. All done with NO bleaching! Apply night and day onto face and neck, after Advanced Peptide Antioxidant Serum, and before your moisturizer. Living in sunny California, I’ve noticed a few dark spots slowly developing and wanted to do something about it. My friend recommended this brightening serum for an effective way to naturally brighten skin tone without using any bleach! Such a gentle way to even out my complexion! I’ve been applying night and day on to my face and neck before moisturizing and I absolutely love it. It smells great as well. A highly purified biotechnologically produced extract from the micro algae Nannochloropsis oculata combined with a well balanced fraction of polysaccharides. 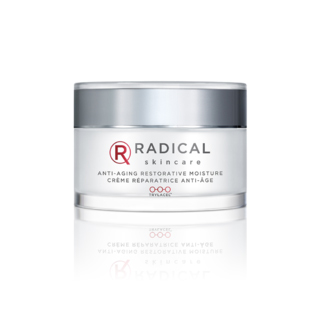 It functions as a skin tightener, which provides immediate tightening to the skin. It has been shown to protect human fibroblasts from oxidative stress, simultaneously increasing the formation of collagen-l thereby promoting a long term tightening effect through the strengthening of the skin’s connective tissue. Sea Lilies help control transportation and inhibition of dendrites. 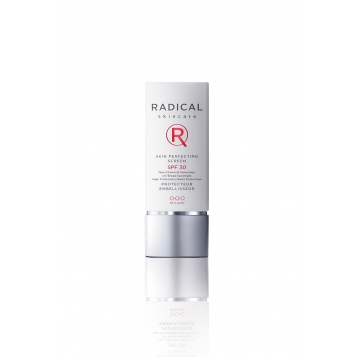 The high stability kind of vitamin C used by Radical Skincare brings antioxidant to the skin and reduces spots. Vitamin C suppresses melanin synthesis, lightens existing melanin, suppresses damages to cell caused by UV, promotes collagen synthesis, improves wrinkles and softness.